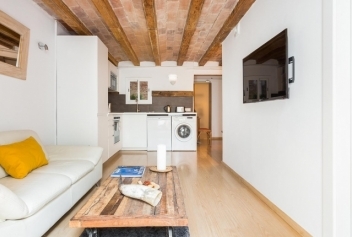 Barcelona Apartments Offers Last minute apartments! This neighborhood is known for its famous nineteenth-century market of the same name, where you can currently find books, posters, cards and antiques every Sunday. Do not miss our selection of the best self catering apartments we offer below. Modern and stylish apartment with 2 bedrooms, up to 6 people. 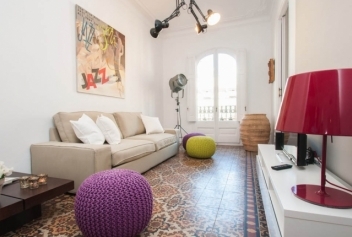 The apartment has been completely renovated maintaining the original modernist style with touches of contemporary décor.